Swim training at Grace Bay with Caicu Naniki. Organized swimming in Grace Bay. Caicu Naniki Vacation Adventures features great eco activities and tours that are perfect for those who appreciate the outdoors and beautiful environment of the Turks and Caicos. Interested in moving to the Turks and Caicos? Our island lifestyle tour will answer questions you may have on residence status, real estate, what the various island and locations offer, and starting a business. Discover the incredible natural sights of North Caicos and Middle Caicos on a private tour by Caicu Naniki. Explore the majestic Mudjin Harbour, Sandy Point Beach, Conch Bar Caves, and Flamingo Pond Overlook. A delicious local lunch is also included. Guided tours included pickup at your resort or villa on Providenciales. 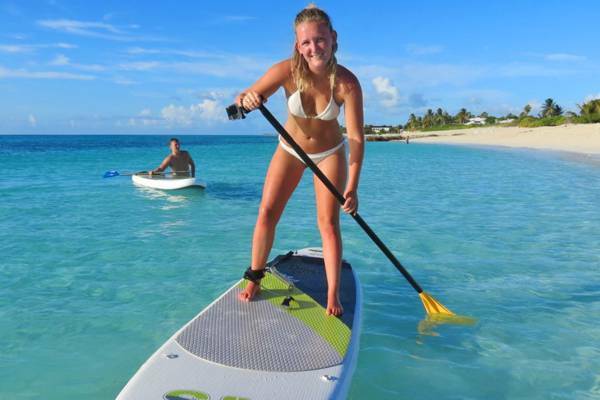 Caicu Naniki offers paddle board rentals on Providenciales. Interested in trying stand up paddle boarding? Caicu Naniki offers paddle board rentals with delivery to your accommodation. If required, a free introduction lesson is complimentary. Whether you’re a beginner or looking to perfect your technique, Caicu Naniki can cater to your swim training needs. 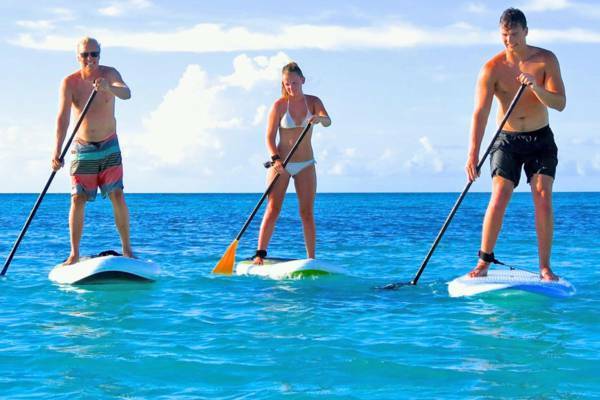 Lessons take place in the beautiful ocean waters of the Turks and Caicos, and typically at the calm eastern side of the world-famous Grace Bay Beach. Caicu Naniki has been the founding sponsor of annual Race for the Conch swim event held on Providenciales. A true adventure, Caicu Nanki’s Northern Haiti adventure is an unforgettable experiences. You’ll see Cap-Haitien and the famous Citadelle Laferrière fortress, the largest 1800s fort in the Americas. Airfare, transport, dinner, and accommodation is included. Last reviewed by an editor on 8 August 2018.